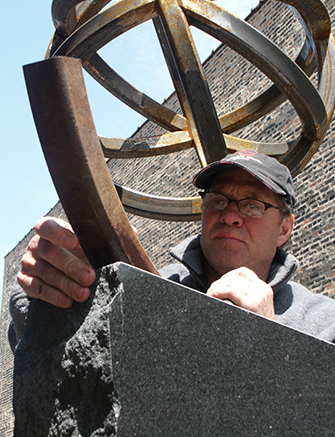 Terrence Karpowicz is an experienced and cautious craftsman and “Pandora’s Shepherd” show- cases that. 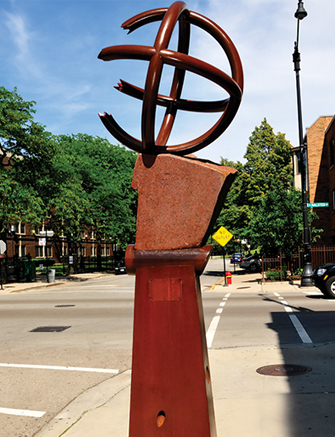 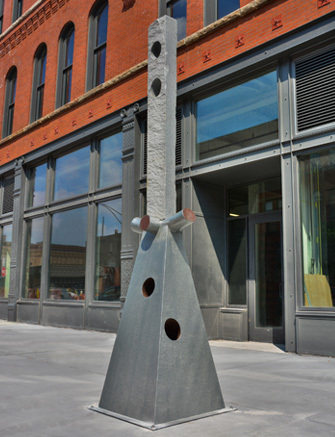 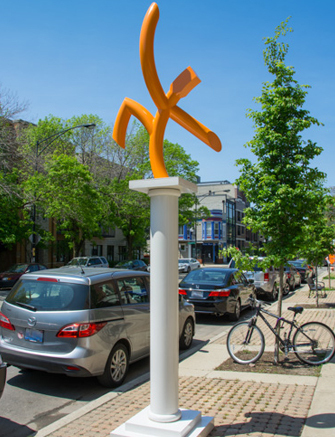 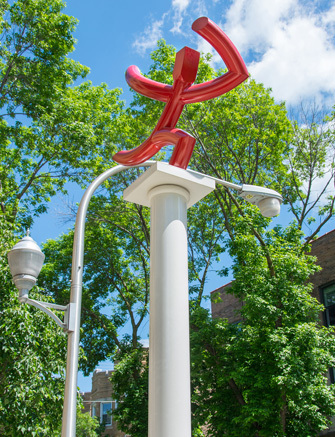 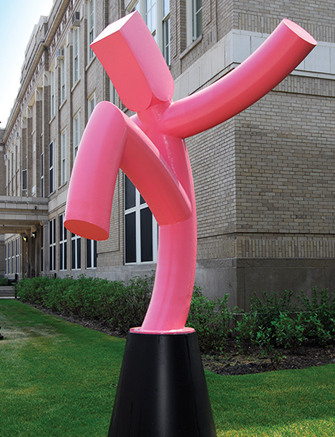 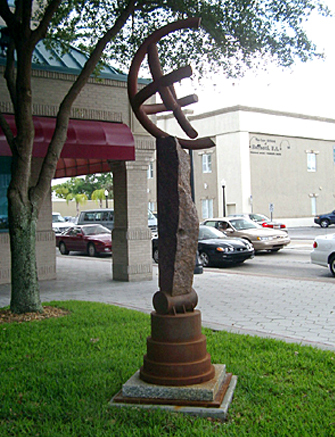 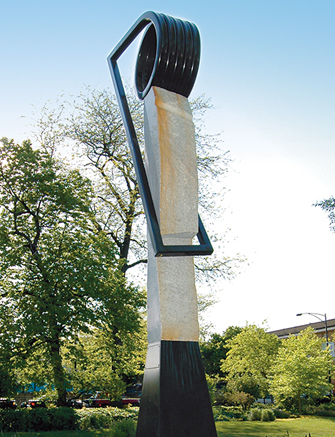 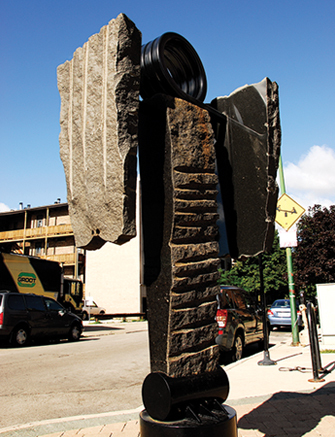 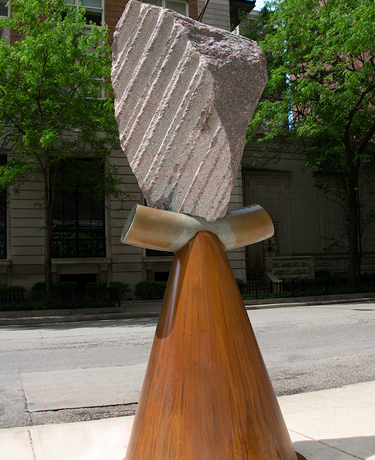 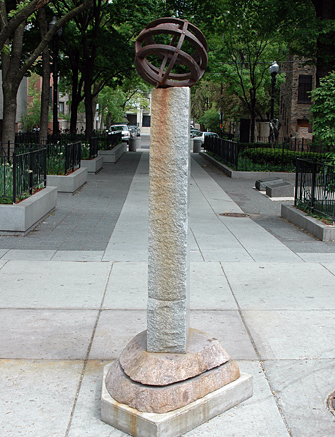 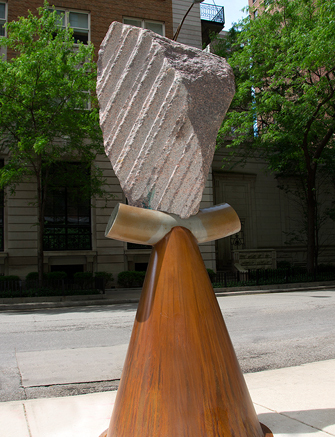 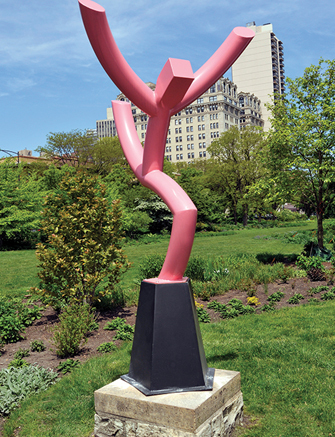 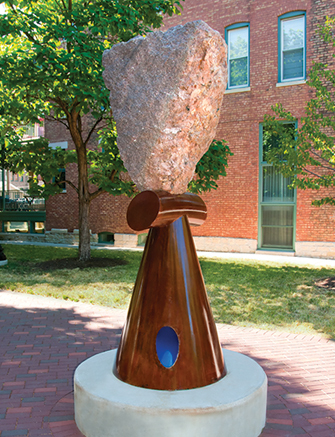 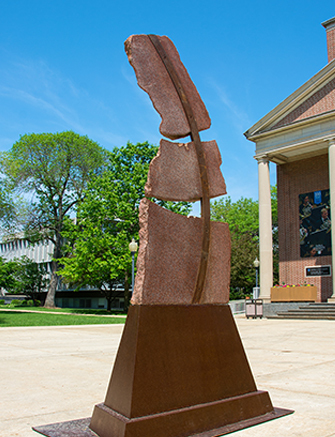 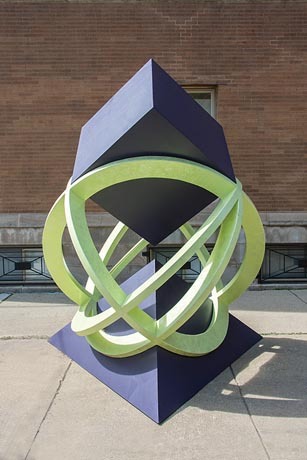 The improbable balance of the granite boulder atop the rounded steel base illustrates the incongruent union of organic and machine-tooled materials, as well as Karpowicz’s mastery of both mediums. 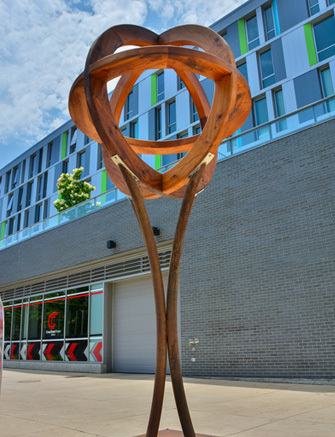 Karpowicz, who has worked in the United Kingdom to preserve and protect historic buildings, achieves a look of ancient wonder in “Pandora’s Shepherd” befitting the work’s mythological namesake.